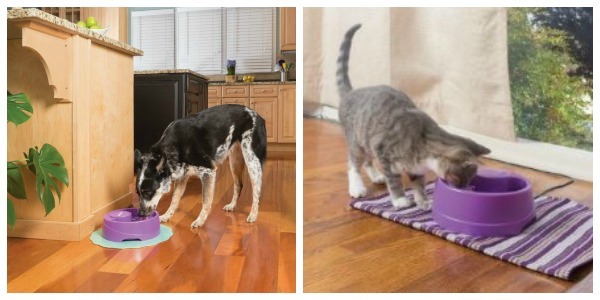 Did you know your pets should be drinking 1 oz of water per 1 lb of body weight? How about that your dog needs quite a bit of activity during the holidays? With our busy schedules during the holidays, we sometimes forget that our pets need special attention. While it may be tempting to fill their stocking with treats, also remember that toys, activities, and essentials are just as important for health and happiness. Knowing that many pet owners are struggling to fit in these extra activities with parties and holiday activities, PetSafe wants to remind everyone that its just as important to keep their pets healthy and mentally stimulated, especially with the temperatures getting colder outside. They have a variety of interactive toys for dogs and cats alike, as well as inexpensive fountains to make sure our furry family members get everything they need to make the holidays even better! It is so important for us to make sure that our pets are well taken care of and are healthy and happy! This is the perfect giveaway to help you do that! 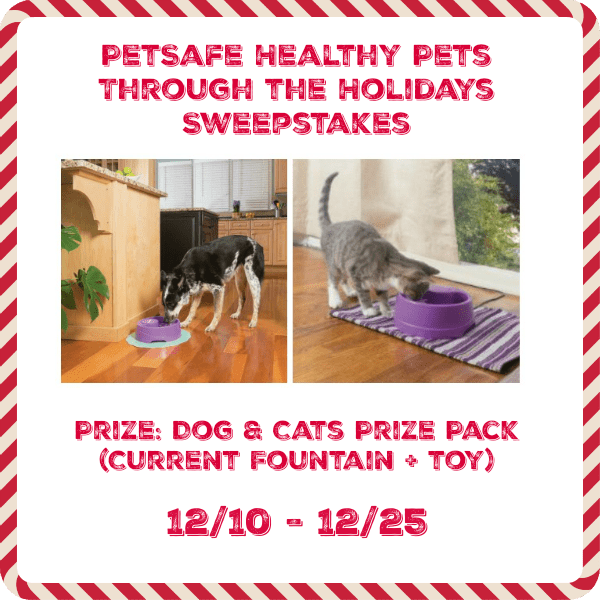 Want the chance to help your pets stay healthy during the holiday season? We are excited to announce that Budget Earth and some of their favorite bloggers are working with PetSafe to bring you this fantastic giveaway. One lucky cat reader and one lucky dog reader will each get a healthy pet prize pack, which will include a PetSafe Current Fountain and a fun, pet-appropriate toy (Frolicat Rolorat for cats, BusyBuddy Bristle Bone for dogs). For more, make sure to read the rules below and then enter through the giveaway form! Two lucky reader will win a PetSafe Prize Pack (Current Fountain + cat or dog toy). Sweepstakes ends December 25th at 11:59pm ET. We exercise them very day (three dogs) with long walks and this holiday, the family rule is no human food to the dogs at dinner time. We have 5 cats and to keep them healthy this holiday season, and throughout the year, we feed them a high-quality diet of wet and dry food with low ash content and high protein content. I have started giving my dog a supplement. He is 9 and starting to show his age, it show his age a little. I feed them daily, I give them fresh water daily and play with theml, they are house cats and they love to be on the porch or at the window watching what is going on outside and by being a house cat they are safer.